If you decide not to use your insurance company and opt to pay directly for the repair, please contact us to give you a free estimate and discuss the most convenient time for us to complete the work. 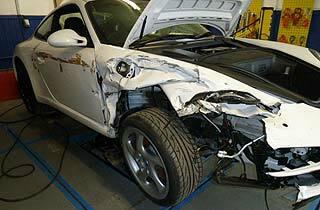 If your vehicle is still legally drivable you need to obtain a free estimate from JPW Body Repairs. To arrange this please either contact us or drop in (Monday-Friday 8am-6pm, Sat 8am-12.30pm). If your car is unroadworthy or immobile please call us and we may be able to visit you to provide the free estimate, or we can arrange for your car to be recovered using a partner recovery agent. 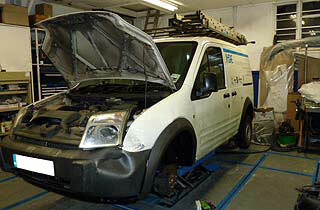 In order to keep you on the road, we can arrange a courtesy car from the garage (if available) or a hire car. On completion of the repair, your vehicle will be collected/delivered (according to your circumstances) and you will be asked to inspect the repair and sign to say you are satisfied and that you now have the vehicle back.